Tanya Rosenblit is still stunned that she garnered international attention last month when she refused to move to the back of a public Egged Bus in Israel. She never intended to make a statement about sexism or racism in Israeli society, she said; she simply wanted to save a little time. 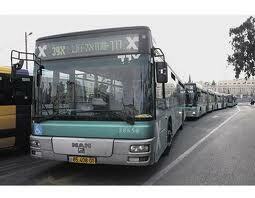 The bus, which she boarded in her hometown of Ashdod, travels mostly through fervently Orthodox – haredi – neighborhoods. But the bus was convenient, stopping five minutes from where Rosenblit had a business meeting in Jerusalem. Unfamiliar with the route, she took a seat behind the driver so he could point out her stop. Rosenblit said it was only after other passengers looked askance at her that she realized she was breaking an unspoken rule on the bus: Women were expected to sit in the back. While it is illegal in Israel to force gender segregation on public buses, there is often a tacit agreement to comply when the majority of riders are haredi. Rosenblit, who is 28, describes herself as “secular by choice.” Born in Moldova, she and her family immigrated to Israel in 1988. She graduated from Tel Aviv University in 2008 with a degree in biomedical engineering and is currently studying screenwriting and film. Since September she has been a producer for Jewish News One, a new independent satellite network that covers international news from a Jewish perspective. She recounted that two stops after she boarded Egged Bus 451, a haredi passenger noticed her in the front seat as he paid his fare. The man prevented the driver from closing the door and started shouting obscenities at her. He called his friends to come to the bus stop to start an impromptu protest. In a late development in, Rosenblit told Tel Aviv police that she had received threats on her life by phone and email and through Facebook, Ynet reported Wednesday.